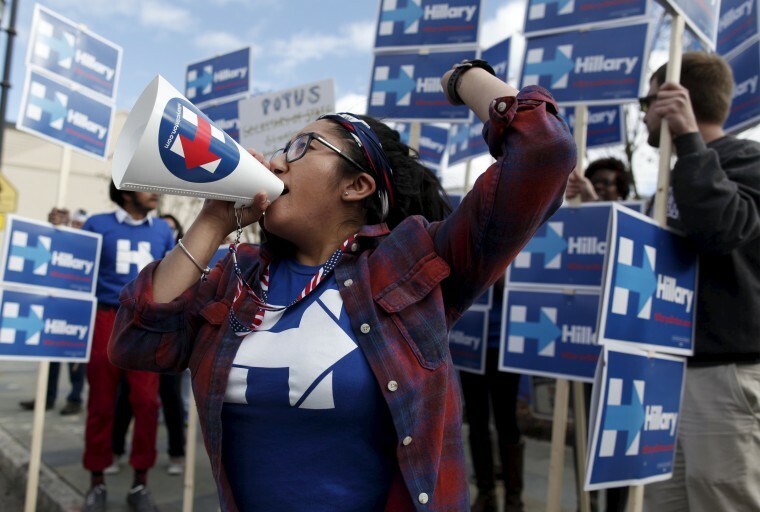 Hillary Clinton, looking ahead to the South Carolina primary, is strategically mobilizing black voters during a critical stretch in the 2016 presidential campaign. The Clinton campaign announced Wednesday that more than 170 prominent African American women leaders have endorsed the former Secretary of State in her bid to become the nation's first female president. All of these black women will rally African American voters around Clinton's candidacy in the upcoming South Carolina primary on Feb. 27 and March primary states. The women will serve as surrogates for Clinton, a Democrat, and according to the campaign, they will host debate watch parties, neighborhood meetings, and women-only phone banks. They will also walk door-to-door to businesses that include beauty salons, barber shops and grocery stores to carry Clinton's message about closing the pay gap for women, fighting for paid family leave, raising the minimum wage, and protecting women’s reproductive rights. Some of the black women leaders who endorsed Clinton include, actress Angela Bassett; Gwen Carr, mother of Eric Garner, who was killed by police in New York; actress Vivica Fox; Sybrina Fulton, mother of Trayvon Martin, who was shot and killed by George Zimmerman in Florida; Alexis Herman, former Secretary of Labor; Alice Huffman, an NAACP board member; Shonda Rhimes, Executive Producer of the hit television show "Scandal"; actress Holly Robinson-Peete; and Democrats Mayor Muriel Bowser of Washington D.C.; Rep. Eddie Bernice Johnson of Texas; Rep. Maxine Waters of California; and Rep. Donna Edwards of Maryland. “Hillary Clinton has been fighting for African American women and girls her entire career – and she’s not going to stop now,” LaDavia Drane, Director of African American Outreach for the Clinton campaign, said in a statement. The announcement comes as Clinton begins campaigning in New Hampshire five days before the Feb. 9 primary and after winning a razor-thin contest in Iowa against Sen. Bernie Sanders, the Democrat from Vermont. Most polls show Sanders leading Clinton by wide margins -- for now. For his part, Sanders still insists that he can attract a sizable portion of the black vote, but it's a daunting challenge for Sanders considering Clinton has longstanding relationships in the black community, dating back to when her husband, Bill Clinton, was in the White House. “Hillary knows the reality of women earning less than men, confronting barriers to advancing in the workforce, and politicians interfering with a woman’s right to make her own health care decisions is even starker for African American women," Drane said. · Cynthia Butler-McIntyre, Former President, Delta Sigma Theta Inc.
· Yolanda Caraway, President and CEO, The Caraway Group, Inc.
· Katie Catalon, President of National Beauty Culturists' League, Inc.
· Dr. Sharon Malone, Washington, D.C.
· Jackie Weatherspoon, US Civil Rights Commission to the State Advisory Committee of New Hampshire.